I was brought up in Seaham. After obtaining my degree at Lancaster University I completed my training in the Lake District before returning to the North East in 1992. Since then I have dealt principally with matters involving healthcare law, including Clinical Negligence claims for both Claimants and Defendants. In 1993 I joined Crutes and became a partner there in 1997; I subsequently became manager of the healthcare team. I moved to Teesside in 2002 to work at Archers before joining Ben Hoare Bell in 2007. I now act only on behalf of Claimants and their families. I have dealt with practically every area of law relating to healthcare, advising in relation to public inquiries, judicial reviews, criminal and professional investigations, funding, consent, inquests, complaints as well as claims for compensation. I deal with cases involving every medical specialism but more recently they tend to be the most serious types of injury. 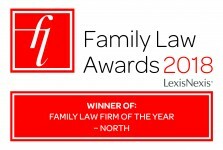 For example I have dealt with cases involving Cerebral Palsy on behalf of a Claimant now in foster care, a child with brain injuries caused by contracted maternal infection, a case involving the increase in damages payable following the recent alteration to the discount rate and a case involving the failure to perform spinal decompression on a Claimant with pre existing Spina Bifida. A recent reported case related to the issue of “material contribution”. An important topic for clinical negligence lawyers. 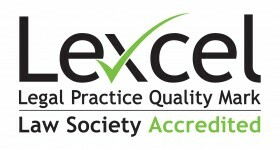 I am an accredited member of the Law Society Clinical Negligence Panel. My principal interests outside work are equestrian. I am a British Horse Society (Stage 3) Coach in Complete Horsemanship. Charlie Gard: How can a Judge decide his best interests?